Editor’s note–another version of this article was published on the website of Arlington Preservation. On June 18, the Arlington Public School Board unanimously approved a ‘letter of intent’ to sell Wilson School and Playfield to Penzance Properties (owners of the CVS building next door). As best I can tell, no citizen advocate was aware that this was an agenda item for the June 18 meeting. 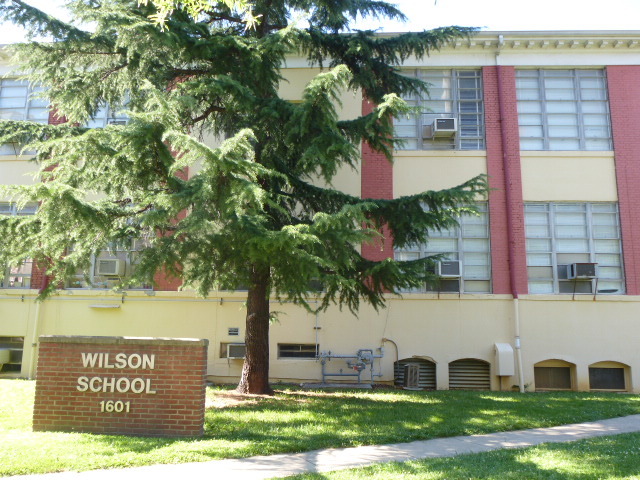 One had to ‘drill down’ into the web agenda to see any mention at all of Wilson School. So, in a single action the School Board abandoned its own policy on Wilson without effective notice and therefore without a single peep from the public. I’m not sure if the horrible notification was due to APS staff incompetence, or if APS Board members purposely avoided facing citizens that they’d assured, with words and smiles, that the issue was not yet settled*. At the bottom of this report see documentation of APS Board positions on Wilson. – The study area covers the Wilson School and playfield, the Rosslyn Fire Station and parking lot, the Rosslyn Heights Park (tot-lot and basketball court), the path that connects North Rosslyn to Wilson, plus the committed affordable Queens Court apartments. – The proposed plan calls for “at least” 60,000 square ft2 (1.5 acres) of community space. That’s substantially less than what we’ve got now. I’m unaware that this proposal is informed by any evaluation of the availability and need for recreation space in our surrounding community (ie. Rosslyn). Also, the plan takes little note of the recommendation of Arlington’s Historic and Landmark Review Board that the school and playfields are an historic site. – The plan involves development (probably high and intense) of two thirds of the site. – There’s no mention of retaining the existing walkway through the property. 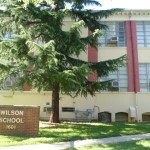 – Wilson School is gone gone gone. Maybe we’ll get a plaque. – The plan includes construction of 200 units of affordable housing, probably via redevelopment of the existing Queens Court apts. However, the plan disregards preserving other highly threatened, nearby affordable housing (particularly the Crestmont and LeMar apts). So the plan countenances destruction of about 150 units of affordable housing to build 200 units. The affordable housing lobby is engaged big-time in this West Rosslyn Study. I am reminded of the ‘housing project’ advocates of the 1960’s who focused on construction over all other priorities, including housing preservation or the needs of a healthy community. This APS board decision should be a wakeup call to civic- minded members of our community that our Arlington governance has lost it’s way in the darkness of secret negotiations and deals.